Thanks to you, I know what to buy…love totally target. Wow!! That is a cute idea. Target is one of my favorite places to shop! Would love to win this 🙂 Thanks! So awesome~! 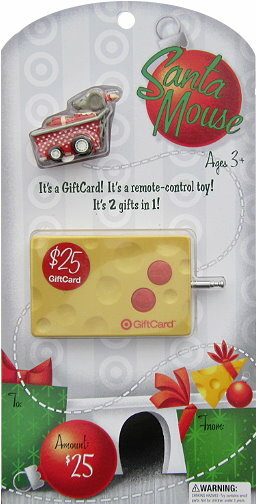 Such a cute giftcard! I “like” Totally Target” on facebook. I already “Like” totally Target on Facebook. This is so cool – would love to win! I like TT on Facebook – aka Bella S.
Already “like” on fb… thanks for the giveaways! Happy Holidays! Thanks for this site; it’s a gift in itself! TT totally rocks and so do YOU!! Hi. Just leaving a comment for one entry. I’m in “Like” with you on FB! this would be great thanks! I would like to win this gift card. Thank you. Love the gift card. It’s so cute and would come in handy. Also I do follow on Facebook as well. Love the work you do helping others save $$.